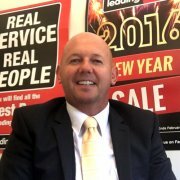 Leading Appliances (LA) is one of Australia’s fastest growing groups in the Electrical Appliance retail business, offering a wide range of kitchen and laundry appliances, small appliances, heating and cooling, and TV and audio visual. 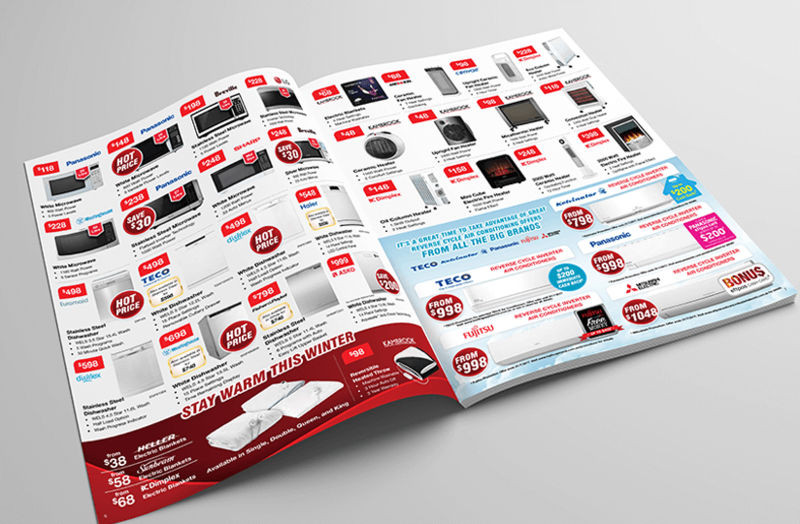 Design and layout monthly LA retail sales appliance consumer catalogue and supporting point of sale collateral based on the theme of the month. Keep the look/feel on brand with the LA style guide with a fresh, clean and easy to read layout for the end consumer. Brand Solutions worked together with the LA Marketing and Sales Team on page layouts for the catalogue following a client “mud map” providing product information such as price, text copy and position in the catalogue. First level drafts are completed for client feedback and drafts continue progressing to final print-ready proofs for sign-off to print. 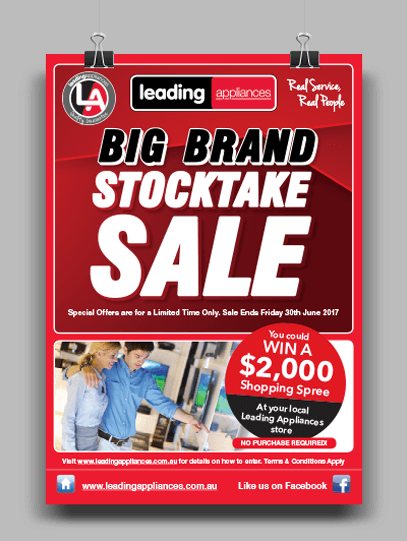 With multiple LA stores across Australia, Brand Solutions kept up strong communication with the LA Marketing team to ensure store listings were up to date for printing quantities and distribution purposes. Following the production of the Catalogue, price tickets and sale posters are designed, printed and distributed. Quality, eye catching catalogues that attract buyers’ attention and deliver the LA brand look/feel to complement each month’s new rang. Quality, eye catching catalogues that attract buyers’ attention and deliver the LA brand look/feel to complement each month’s new range of catalogue items on sale. The process for each project has been smooth, with each themes’ design hitting the mark of the client’s expectations. “I have worked closely with Paul and Gary and the Brand Solutions team for the past 5 ½ years, as they’ve delivered all the marketing requirements for Leading Appliances, a national retail chain of over 70 shopfronts. Brand Solutions annual workload includes the graphic design and overall production of monthly Catalogues, quarterly Flyers, fortnightly eDM’s & Social Media posts, quarterly Facebook promotions, overall Website design and maintenance, and point-of-sale packs including design, print and distribution of tickets, posters and other promotional material.